Any one interested in seeing my new Motor Trike GT3 kit go to my personal Album. I am mostly impressed with the way it handles on the interstate behind (and beside) Simi`s, even with a strong side wind, the trike DOES NOT SWAY what so ever. My wife (very shortly) fell asleep as my riding companion....and yes, I had a talk with her about that. We took it on a 2 hour tour on the Blue Ridge Parkway to Cherokee and (I must admit) was not to certain about taking the curves at regular speeds for a while, this is my most learning curve I will master with time, the 4.5 rake kit helps a great deal. The bumps we used to experience over many years of know roads, are almost non existent now, which makes the (future) unknown potholes (for the most part) easier to deal with. All in all.....we took the extended round trip at a much more pleasurable feeling at the end of our days journey. And, I look forward to the next ride. Success on all counts. Congrats! Nice looking kit. Glad you enjoy it. Nice trike!!! I am sure you are enjoying the stability of a trike. Once the Motortrike kit is installed, does that completely replace the CVT transmission assembly? Just wondering how that works, and what drives the chain. I have considered adding a Voyager or TowPac kit to my Swing. My thoughts on that are how do you get access to check the air in the back tire with either of those kits in place? Now that Motortrike makes a kit for the Swing, I am considering that. I still have the CVT, although it now connects to a system that drives a chain. I had it installed, Motor Trike will not allow non dealers who have not been to their school to install, any tech question's you can call Motor Trike, I do not know fully how it works ,. all I do know that it works, and it works well, And is guaranteed for 3 years or 60,000 miles. Thanks for the info Ron. Sounds like a really good set up. 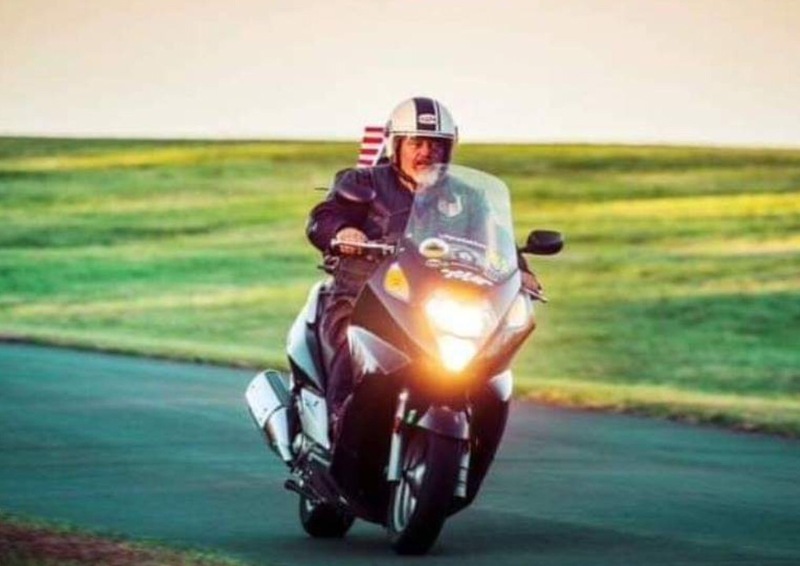 I had a Motortrike kit put on my new 2005 Goldwing and had 157,000 trouble free miles on it. I had ridden a variety of 2 wheelers over the years and thought a trike would be fun, it was!! Sold that trike last summer and decided to get back on 2 wheels again just for the fun of it. Just doing a little thinking about triking my Swing at this point in time though. I was told by my installer that it drove easier than a triked Goldwing BEFORE he put the rake kit on!